The Committee to Recall Carl Levin is looking to remove one of the traitors that wrote the bill which shreds the Bill of Rights. Carl Levin and John McCain co-wrote the NDAA, and it is time for us to bring the hammer of the electorate down on them. 18 U.S. States have processes for repealing U.S. Senators, and Michigan is one of them. You can read more about how to repeal your U.S. Senator that voted for the NDAA here:http://www.ehow.com/how_2096900_recall-us-senator.html. The Committee recently garnered some media attention, this drive appeared in the Detroit News . With that kind of backing, this is something that could work. No U.S. Senator in history has been recalled…yet. 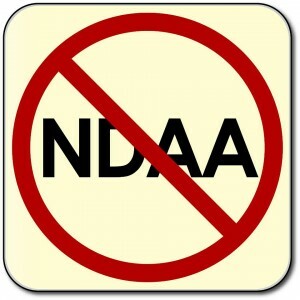 It is time for us to show the world how important the NDAA is. What are we going to do? Stop the tyrants! If you live in Michigan, download the petition here! Write your name in it, get your friends to write their name in it, and send it to the address on the website. For now, this is only for those of you that live in Michigan. But it doesn’t have to be. If you live in one of the 18 states that allows you to recall your senator, you can start a petition. Our government does not understand the power of “We the People.” They think they can trample on our rights with impunity. Let’s show Carl Levin that we don’t have to wait for the ballot box. We want the traitors out NOW. And nothing will stop the hammer of the electorate once it has been brought down on our government. Share this on the walls of your Facebook Friends. Tweet to others in the liberty movement. Like this page and send others to it. Reblog this on your website. Every Share, Like, and email gets us closer to taking down government tyranny.